Educators will find in this book an opportunity to examine the multiple, dynamic identities of the students they instruct and to consider the ways in which all teachers and students are shaped by their social and cultural settings. The volume is the first to examine theories of identity and elementary literacy practices by presenting data in a teacher-friendly format. 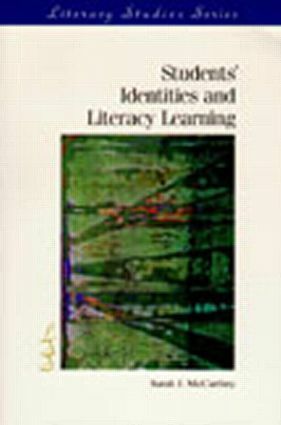 The chapters highlight the influences of school and, to some extent, home contexts on students' identities as readers and writers, and give numerous implications for practice. McCarthey collected data from three sites in which teachers implemented writing workshop and literature-based instruction in grades 3-6. This book focuses on the students in these sites, who were from diverse cultural and social backgrounds. By providing information about the contexts in which students read and wrote, McCarthey demonstrates the power of the teacher-student relationship, the importance of the classroom curriculum, and the influence of parents and peers on students.